Located in the Pacific Ocean near the Mariana Trench, the Challenger Deep is the deepest known point of the ocean floor. Only four manned descents have ever braved the journey to this remote location. 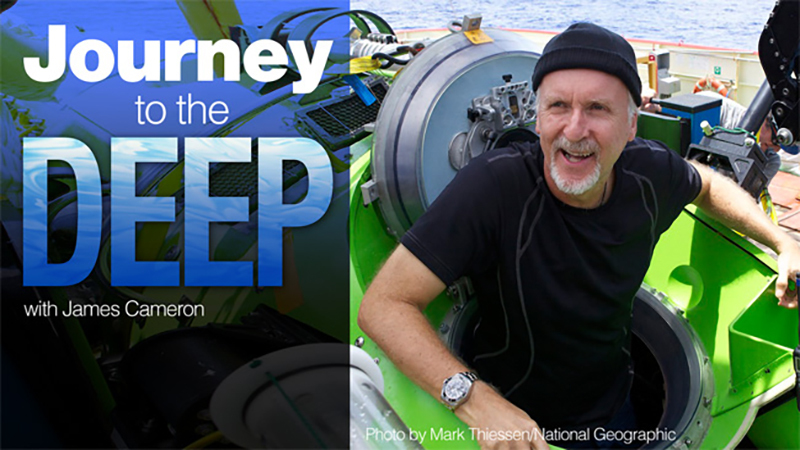 On March 26, 2012 filmmaker James Cameron piloted the deep submergence vehicle Deepsea Challenger to become the first person to complete a solo dive of this ocean frontier. Listen in as he shares his experiences and perspectives from his record-setting dive. If you liked this video, check out our other programs on Oceanography and Marine Science.